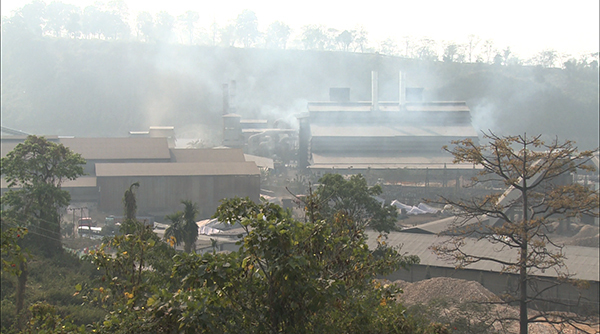 The National Environment Commission (NEC) has asked the industries in Pasakha to install energy metres for pollution abatement equipment like Gas Cleaning Plants and Effluent Treatment Plants in their respective industries. A senior environment officer from the NEC, Tshering Dorji, said the ambient air quality in Pasakha deteriorated over the years due to increasing pollution from industrial operations. “Other fugitive sources such as increasing traffic movement, unpaved road condition within the industrial estate and trans-boundary air pollution sources from across the border also affected the air quality”, he added. The NEC said there have been reports of industries shutting down pollution abatement equipment during night time and releasing the emission directly into the air. However, with the energy meters for pollution abatement equipment installed, the NEC said, such activities can be monitored. “When we talk about such energy meters, we must understand that it is not installed for billing purpose. In fact, it is to prove that the pollution abatement equipment is operated in along with the operation of the industry’s plant”, Tshering Dorji said. After installation of the energy meters, the NEC in coordination with Bhutan Power Corporation and the concerned industries will be fixing the baseline energy consumption depending on the capacity and mechanics of electric motors used in respective plants. “Any deviation from the baseline would mean that the plants have not operated pollution abatement equipment”. The industries have signed an agreement with the NEC to install energy meters by March 31 next year. While some industries have already installed such meters, most haven’t. Industrialists, on the other hand clarified that shutting down the pollution abatement equipment during night time might have been prevalent in the past. However, today, due to the growing market for micro silica dust, which is a by-product of the silicon and the ferrosilicon production, such illegal practices have stopped. Micro silica dust can only be collected when they use gas cleaning plants.